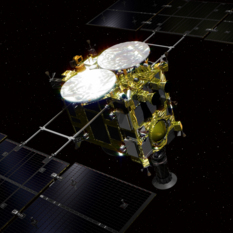 Hayabusa2 has touched down on Ryugu! 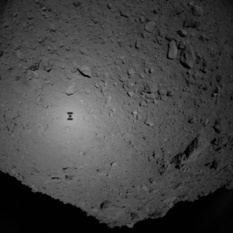 Touchdown occurred at about 22:49 UTC on 21 February, and the spacecraft is healthy. 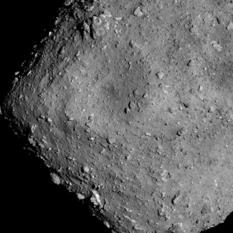 More than 4 years after launch and a half year surveying asteroid Ryugu, Japan's Hayabusa2 spacecraft is ready for sample collection. 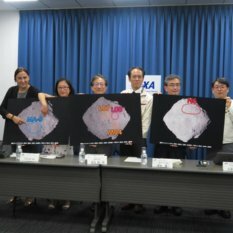 Japan's Hayabusa2 spacecraft will try to collect a sample from asteroid Ryugu during the week of 18 February, mission officials said during a press briefing last week. 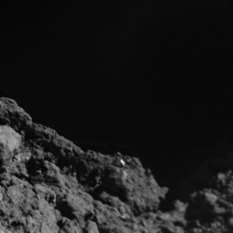 When planetary scientist Brittney Cooper was scrolling through the downlinked images of Hayabusa2’s approach of asteroid Ryugu, a familiar sight caught her attention. 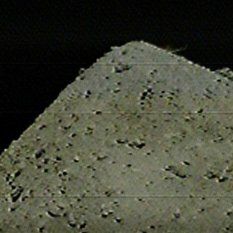 For 17 hours on 3 October, the Mobile Asteroid Surface Scout (MASCOT) lander sent data to the waiting Hayabusa2 orbiter from multiple locations on Ryugu. 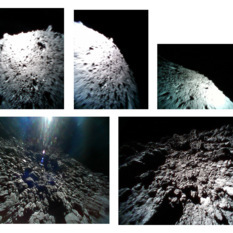 Pics of Ryugu's surface show loose piles of gravel strewn with larger rocks and boulders. 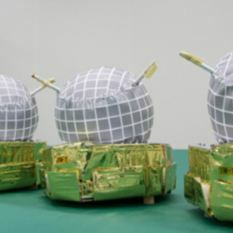 The two small spacecraft are the size and shape of cheese wheels, and can autonomously hop around the surface. 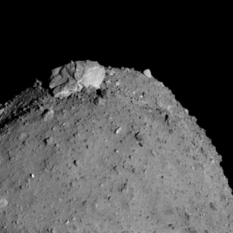 Hayabusa2 didn’t quite make it down to its intended 60-meter distance from asteroid Ryugu yesterday. There is nothing wrong with the spacecraft; it’s healthy and returning to its home position. The team will adjust parameters and give it another try in the future. 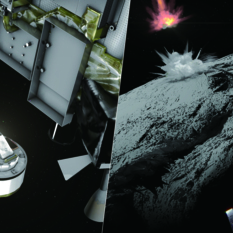 The names were collected by the Society in 2013, and are stored on target markers that will be dropped on the asteroid. 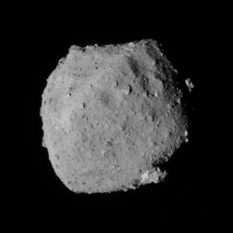 This week Hayabusa2 completed its closest approach yet to asteroid Ryugu. 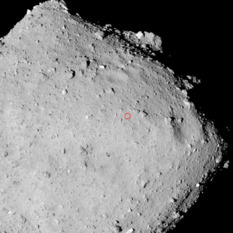 In a successful gravity measurement experiment on August 6, the spacecraft dipped to within 1 kilometer of the asteroid. 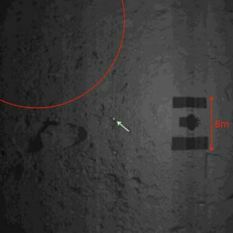 For the second time, JAXA navigators have zoomed their cameras and other instruments in on asteroid Ryugu. The August 1 operation was quicker than the previous one, requiring only 26 hours for the descent, science, and ascent. 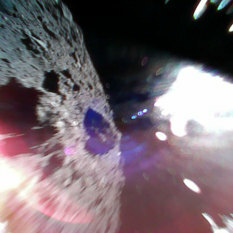 Last week, Hayabusa2 approached to within 6000 meters of the surface of Ryugu, taking new photos. 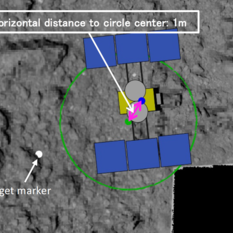 The team has developed a set of terminology to describe Hayabusa2's navigational positions around the asteroid.